OVER 25,000 DOWNLOADS!!!! 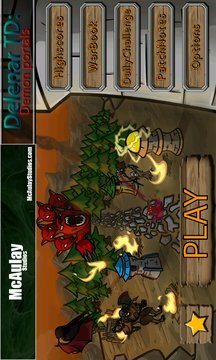 !Can you hold back the Demon hordes and save the world of Delenar?DelenarTD is a fast moving Tower Defense game with over 50 hours of game play for FREE!Each of our 54 levels consists of obstacles, terrain, and mobs! 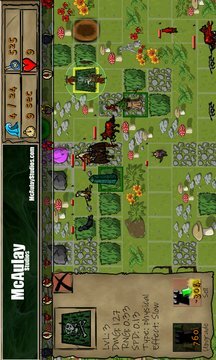 DelenarTD is a game that starts out easy and gradually builds in difficulty. You must use some serious strategy to beat the most difficult levelsCompete in our daily challenge and see how you match up against other users on a daily basis. Or one up everyone else and declare victory over all other users by getting the highest score on a level. This game is great for kids 7+ all the way up to adults!- 54 Unique Levels- 11 Unique Towers- 5 Tower upgrades- 14 Unique Mobs- 3 Damage Shields- 4 Pathing Tiles- 5 Different portals!- Daily Challenges- Online Highscores- Multiple Start Points for mobs- Endless Mode For every level!